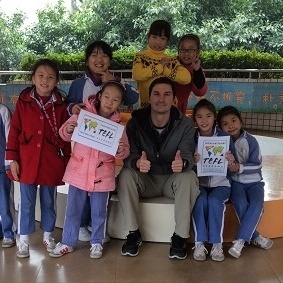 Got questions about Online TEFL certification for teaching English abroad? Check out our Index of the Most Frequently Asked Questions for the International TEFL Academy Online TEFL course. For a full, comprehensive overview of our Online TEFL Course including chapter breakdowns, sample test questions, and lesson plans, and detailed practicum and thematic unit information, please check out our Online TEFL Course Overview page. Watch this video for an introduction to submitting tasks for the ITA 170-hour Online TEFL Class. Tasks are submitted online in your course (www.teflacademyonline.com). Tasks are either posted in the correct forum (F) or they are taken as an online quiz (Q). In order to submit a task in the form of a quiz, choose the correct unit, chapter, and click on the correct task with a (Q). 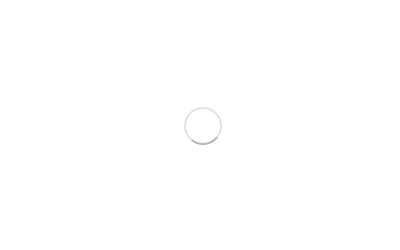 Click on “Preview Quiz Now” to complete the task. Each task in a quiz format allows for one attempt and 60 minutes to complete it. What time are the tasks due? All tasks are due by 11:59:59 pm Central Standard Time on the due date. Refer to your course calendar for task due dates. Are due dates for Central/Chicago timezone? Yes, due dates are for Central/Chicago timezone. Check the current time in Chicago at timeanddate.com. Can I receive credit for tasks that are submitted late? Late work will be accepted up to 3 days after the due date. There will be no exceptions after 3 days for late work. 2 points will be taken off per day that a task is late. 5 points will be taken off per day that the final thematic unit project is late. Students are required to participate in a discussion each week by posting at least one thought or comment in the Peer Participation forum. The discussion will begin each week by your instructor posting a topic in the Peer Participation forum. How many points is peer participation worth? Peer Participation is worth a total of 55 points or 5 points per each discussion topic. Students are required to participate in all 11 of the discussion topics. When is Peer Participation due? Peer Participation is due every Friday. Check your Course Calendar for any questions regarding the due dates. Can I receive credit for Peer Participation that is posted late? No, credit will not be received for any Peer Participation posted after the due date. How long will I have access to the course materials online? Students will be able to access all course material for approximately 6 weeks after the completion of the course. An email notification will be sent out to students about one week before their access is closed. Do I need to purchase a textbook for this course? When you are logged into the course on the left-hand side, under the Administration section, there is a link called Grades. This will display all the grades for completed tasks. How do I read feedback from the instructor? Feedback can also be found under the Grades section. Your instructor will provide feedback and comments on all tasks. What is the passing grade for this class? Students must receive a minimum of 560 points or a 70% to pass the class. Students are not required to attend the lectures. However, it is strongly recommended that students attend lectures as this is a time to receive more direct classroom instruction, ask questions, and communicate with peers and the instructor. Are the chat sessions optional? Students are not required to attend the chat sessions. However, it is highly recommended that students attend chat sessions as it is a great opportunity to ask the instructor questions or to discuss ESL learning and teaching. (Live Practice Teaching) section of the Online TEFL Class. Does ITA assign a practicum location for me? No, ITA does not assign a practicum location for its students. One benefit of taking the online course is its flexibility, as many students are working or taking other courses concurrently. Because of this, it would be difficult to arrange hours and locations around every individual schedule. Another reason why ITA does not assign a practicum location for students is because we have students from all over the world participate in our course. Therefore, you are free to find a location close to you and arrange hours at your convenience, whether they may occur during the day or in the evenings, or over the weekend. Do I have to do my practicum hours at a specified, ITA-approved center? You do not have to complete your practicum at specific locations. We are flexible with accommodating your experience, and it does not matter if you are observing, tutoring or student teaching in Kansas or in Argentina – just as long as you are working hands-on with real-life English language learners. Do I need to do all of my hours after the course? You do not need to wait until you have completed your certification to begin your practicum hours. Students may begin their practicum as soon as the course starts; at this time, it is advised to begin your practicum experience with observation hours unless you are an experienced EFL/ESOL teacher. Do I need to do all of my hours at the same location? You can do your hours at different locations if you choose. Some students prefer the continuity of remaining at one location throughout the duration of their practicum, while others enjoy experiencing diversity in their students and class types and opt to divide their 20 hours among various locations. Others’ choice of whether or not to do their practicum at one site depends on their professional, academic, and social schedules and whether or not English classes that are offered will conflict with their schedules. Do I have to do all of my hours all at once? 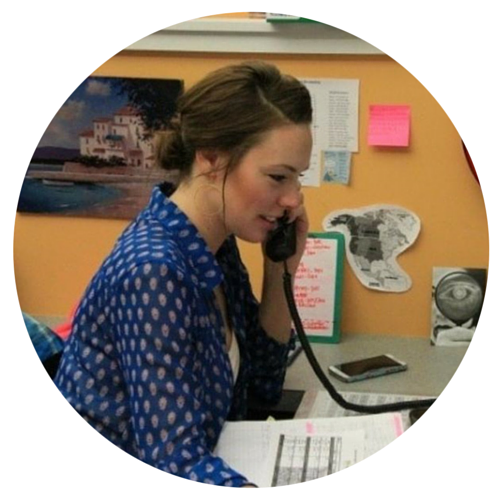 Just as you can work on your practicum hours at various locations, you can also conduct your observation, tutoring, or student teaching at various times. You can begin your hours as soon as the course starts and you have up to 60 days after the course has ended to complete your practicum. Some teacher trainees prefer to wait until they have been enrolled in the course for some time before they feel comfortable enough to work with English language learners, while some will begin as soon as the course starts and ease into English classes by doing some observation hours in the beginning. Others wait until the course has ended and will work on their practicum during the 60-day period after certification due to schedule constraints. Do I need to choose just one facet of practicum experience, or can I mix and match? You can choose to perform one facet of practicum, though we do encourage students to try and participate in all three to gain a wider perspective and build as much varied experience as possible. I currently teach; can my classroom hours apply toward my practicum? Your current classroom hours will apply toward your practicum only if you are teaching English skills to non-native English speakers. For example, if you happen to have an English language learner in your Algebra class, then those hours will not apply toward your practicum. Additionally, if you are an English teacher, but do not have any English Language Learners in your class, then these teaching hours will not count, either. On the other hand, if you are a Biology teacher and you are offering extra tutoring assistance to an English language learner, then this time spent will count toward your practicum. I have taught in the past; can those hours apply toward my practicum? We do require that you complete your practicum hours concurrently with the course. However, if you have had extensive TEFL/TESOL experience locally or abroad, then you may have a portion of your practicum hours waived. This situation will be determined on a case-to-case basis, so please speak with an advisor from the Student Affairs department to gain approval and authorization. How will ITA verify my practicum? ITA will provide specific documents on which you will log your days and hours of observation, tutoring, or student teaching. These time log forms must be signed and verified by a cooperating teacher or tutored student. Additionally, a brief evaluation form will be provided that your cooperating teacher or tutored student must complete about your experience. Lastly, you will complete an assignment, for which you will be required to write a reflective essay on your experience. Where can I obtain the necessary documents to submit to ITA? The required documents can be found online in the ITA TEFL Practicum section. Log on to www.teflacademyonline.com to find all of the necessary documents you will need to submit. 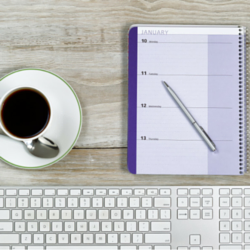 What other steps do I need to do to complete my practicum hours? Please refer to the TEFL Practicum Checklist for a list of items you need to complete. You can find the checklist online in the ITA TEFL Practicum section. Log on to www.teflacademyonline.com to find the checklist. What if I choose to do 20 hours of tutoring with an English language learner; how will he or she complete the evaluation form? There is a specific form that is used for tutoring. Your ESL student will need to complete the evaluation regarding his or her experience learning from you. Can I receive an extension on my practicum hours? ITA automatically provides a 30-day extension after the course has ended for students to complete their practicum. If you still have not completed your 20 hours during this timeframe, please just send an email to Student Affairs stating your name, course start date, and the date you will complete your practicum and submit all necessary practicum documents. How many ESL students do I need to work with? International TEFL Academy does not have a minimum or maximum amount of students that you are able to work with. You can work individually with one student, or even teach large classes of 20 - 30 students. The choice is ultimately up to you. Can I complete my practicum in a foreign language, math, science, etc. classroom? Students may only receive credit for their practicum hours if they complete their practicum in an environment or classroom where non-native English speakers are learning the English language. Any hours spent in another environment or classroom that does not meet these requirements, will not receive credit for their practicum hours. Many practicum locations or organizations require their volunteers to participate in an orientation or training program before they begin observations, teaching, or tutoring. Am I able to count this towards my 20 practicum hours? Practicum hours must solely consist of observation, teaching, or tutoring. Any orientation or training hours do not count towards the 20 practicum hours. 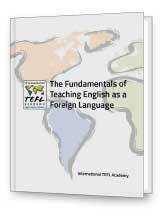 Can I observe ESL classes at International TEFL Academy? International TEFL Academy’s ESL classes are only for those TEFL students who are currently enrolled and participating in the onsite Chicago class. Online TEFL students may not observe ESL classes at ITA and must find a separate organization or students. Am I signed up for the two extra chapters? When can I sign up for these chapters? After students receive the announcement email during their 10th week, they may reply to the email letting Student Affairs know they are interested in taking the extra chapters. When do I receive access to the additional chapters? Students will receive access to the chapters Monday of week 11. Do I have to pay for the Young Learners and Business English Chapters? What if I start to take the chapters and decide to drop out? If you decide you don’t want to take the chapters for whatever reason after you’ve already started them, this will not affect your overall grade in the 11-week course. Just let Student Affairs know you want to drop out and we’ll remove you from the chapters. Do I have to take both chapters to receive credit? Yes, you have to take both chapters. You cannot just take one of the chapters and receive partial credit. When are my practicum hours due? Your practicum hours are still due 60 days after your 11-week course ends. Do I receive a grade for the additional chapters? No, the additional chapters are graded as Pass/Fail. They do not affect your overall grade in the 11-week course. If you do not pass the additional chapters it will not be noted on your certificate. How are the Young Learners and Business English chapters graded? The additional chapters are graded as Pass/Fail however, students must receive a 70%or higher to receive credit for the chapters. If a student receives less than a 70%, they will not receive the additional 30 hours on their TEFL certificate. Do the Young Learners and Business English grades affect the grade on my TEFL certificate? The Young Learners and Business English chapters will not affect the grade on your TEFL certificate. What is the benefit to taking the additional chapters? The additional chapters will help shape you to become an all-around better teacher by preparing you to teach the two very distinct age groups. Both chapters will provide you with tips, lesson plans, and additional information for teaching children and adults. What do I need to do to pass the additional chapters? You must receive a minimum of a 70%. You must also complete all of the tasks and both comment on both peer participation comments. If you fail to complete any of these items you will not receive the additional chapters. What happens if I miss a task or Peer Participation question? In order to pass the additional chapters, students must complete every task and Peer Participation question. Failure to do so will result in the student not receiving credit for the Young Learners and Business English chapters. When are the tasks due? The Young Learners tasks are due Friday of week 12 and the Business English tasks are due Friday of week 13. Please check your course calendar for exact dates. When is the Peer Participation due? The Young Learners Peer Participation is due Thursday of week 12 and the Business English Peer Participation is due Thursday of week 13. Please check your course calendar for exact due dates. What are the steps to receive my TEFL Certificate? 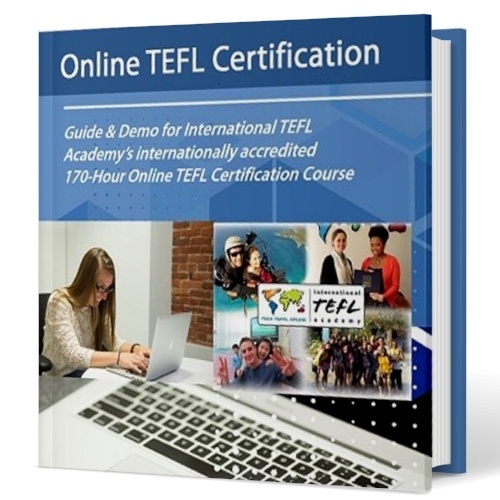 To receive a TEFL Certificate, students must complete their 170-Hour Certification Course and Young Learners and Business English Chapters (optional). If a student elects to take the additional chapters, they will not receive their certificate until these chapters have been completed. Students must also complete the Practicum and turn in the necessary documents to Student Affairs. What documents do I need to submit to receive my TEFL Certificate? Students must submit the complete Practicum Packet and Practicum Experience Write-up. The Practicum Packet can be found in the Practicum section on Moodle. Please keep in mind that you will post your Practicum Experience Write-up together with the Practicum Packet under the Practicum section. After a student has completed their certification course and submitted the necessary documents, it will take about 4 to 6 weeks to receive a certificate in the mail. Article + Video: How Will I Complete the Practice Teaching for My Online TEFL Course? Article: Who Teaches International TEFL Academy's Online TEFL Certification Course? 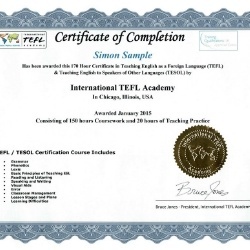 Article: Is ITA's Online TEFL Certification Course Valid & Accredited? Check out a comprehensive overview of International TEFL Academy's internationally accredited 170-Hour Online TEFL Class for teaching English abroad.